Now THIS is My Kinda Breakfast!! 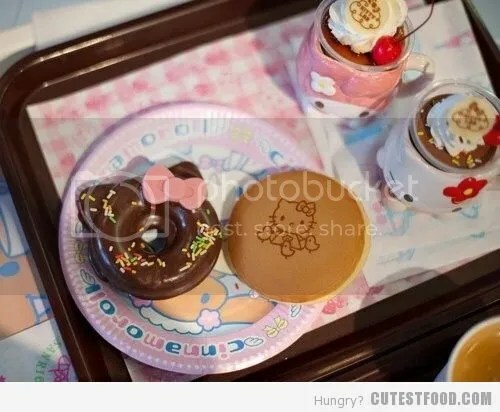 Hello Kitty breakfast…a donut, pancake, and what looks like pudding in the two Hello Kitty cups to the right. LOVE. ← Hello Kitty Bento Box!! That’s adorable!! The doughnut looks amazing!